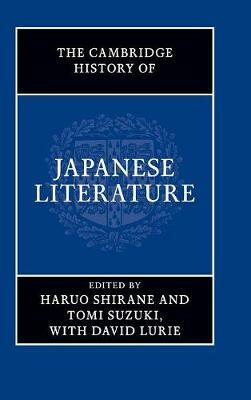 The Cambridge History of Japanese Literature provides, for the first time, a history of Japanese literature with comprehensive coverage of the premodern and modern eras in a single volume. The book is arranged topically in a series of short, accessible chapters for easy access and reference, giving insight into both canonical texts and many lesser known, popular genres, from centuries-old folk literature to the detective fiction of modern times. The various period introductions provide an overview of recurrent issues that span many decades, if not centuries. The book also places Japanese literature in a wider East Asian tradition of Sinitic writing and provides comprehensive coverage of women's literature as well as new popular literary forms, including manga (comic books). An extensive bibliography of works in English enables readers to continue to explore this rich tradition through translations and secondary reading.